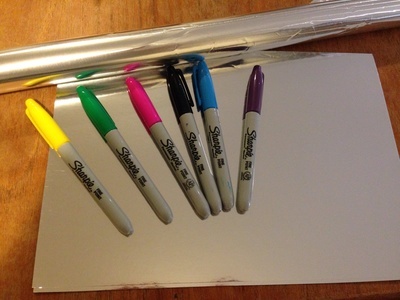 Explore using Sharpies (coloured permanent markers) on aluminium foil or silver card to create a marvellous metallic masterpiece. 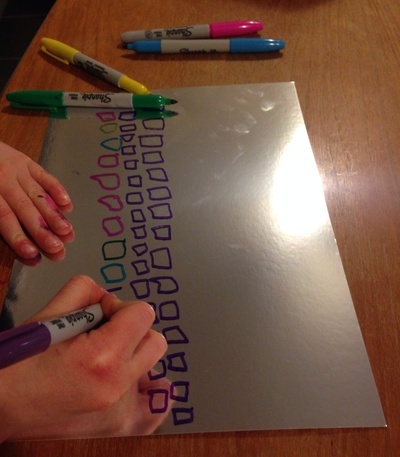 My kids loved the novelty of drawing on 'metal' and seeing their own reflections as they drew. Aluminium foil or metallic card. Lay out the metallic card or aluminium foil. 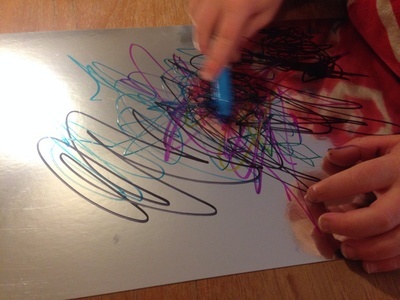 Metallic card is easier with younger children as they don't need to be careful not to tear the foil when drawing. 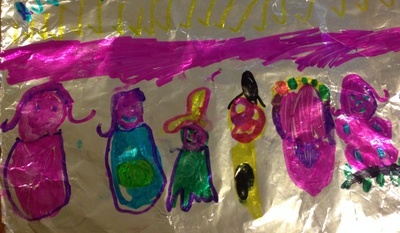 Aluminium foil is cheaper and great for creating a large picture. Decorate with Sharpies to create your masterpiece. 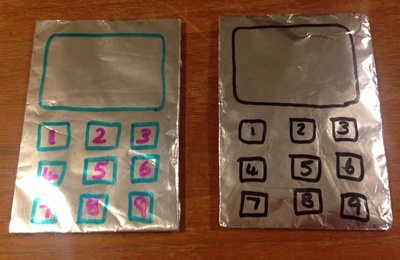 We also covered cardboard rectangles with aluminium foil and drew buttons on the front. My kids loved having conversations with each other across the table with their 'mobile phones'.